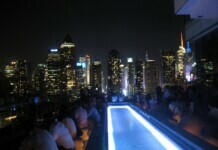 The Z Hotel in Long Island City, has some of THE best views of our Manhattan Skyline! The sweeping views of the entire Manhattan skyline through floor-to-ceiling windows will truly take your breath away. 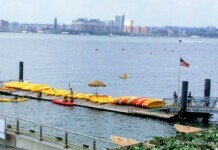 The panorama — from the Williamsburg Bridge to the south to the Triborough Bridge to the north — cannot be matched by any of Manhattan’s boutique hotels. 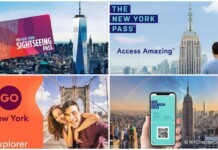 It’s all there for your eyes to behold: the Empire State Building, the United Nations, the Chrysler Building, the Citicorp Center, the Queensboro (59th Street) Bridge – the visual feast is never-ending. Every room has the same billion-dollar view! Transport yourself to an era of travel at once long gone, yet startlingly contemporary – even futuristic. Sleek, Jazz Age themes blend seamlessly with modernist industrial chic, creating a boutique hotel experience unlike any in New York City. 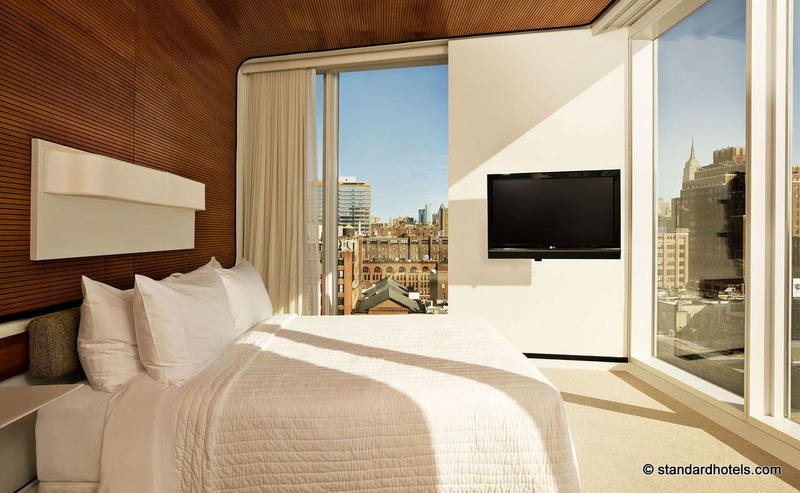 A stunning, slender 14-story tower perched along the East River in the emerging, hip neighborhood of Long Island City, Z NYC Hotel offers a truly transformative experience. You’ll feel it when you enter the transportation-hub themed lobby, as the retro split-flap arrivals board beckons you to check in at the front desk constructed from classic steamer trunks. Everything hearkens back to a golden age of travel, when voyages were glamorous and thrilling. That sensation extends to all 100 of our stylish, fully appointed guest rooms. And yet, at Z NYC Hotel, you are so close to all that Manhattan has to offer – plus Brooklyn and Queens too! 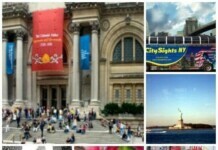 A dizzying array of public transportation options is just moments away, ready to whisk you anywhere in New York City. By car, you are less than 5 minutes from midtown Manhattan, 10 minutes from Central Park, Times Square and Broadway, and 20 minutes from downtown. The hotel is within walking distance of the wonderful arts and culinary destinations that have made Long Island City one of NYC’s hottest areas, as well as some of the major corporations that have offices here, including Citigroup, Rolex and (soon) JetBlue. After a long day of work and/or play in the greatest city in the world, Z NYC’s warm, friendly staff welcomes you home. Relax with cocktails at our dual rooftop bars, where 360-degree views of New York City provide a truly unique backdrop. Unwind in our authentic outdoor beer garden. Dine in our subterranean restaurant and lounge – designed as a stylish, modern homage to the neighborhood’s industrial roots — featuring terrific locally sourced cuisine. Then retire to your room, with the sparkle of NYC’s lights inspiring your dreams. In the morning, you’ll wake to the glow of the sunrise reflecting off the skyscrapers. Truly magical.